Everyone is talking about the new LVP flooring that the industry is pumping out. So what is so great about it? Why is this flooring hitting the market so strongly? What benefits come with it? Are there any negatives with the product? To analyze this, let’s break it down. First of all, what does LVP stand for? LVP stands for Luxury Vinyl Plank. These are different from LVT in that LVT is in the shape of a Tile (typically 12×24 pieces) rather than the wood plank shapes (6×48+). Luxury Vinyl is engineered to perform like a sheet vinyl (only better) and is installed more like a hardwood laminate floor. There are multiple brands of LVP. 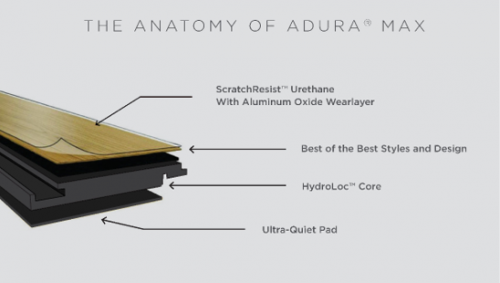 At McArthur Homes, we use Adura Max, which is manufactured by Mannington. 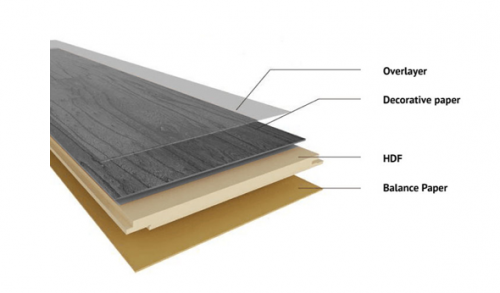 Below is the anatomy of how they build each Luxury Vinyl Plank. The first layer is a scratch resistant protection which helps prevent normal wear and tear scratches from the color and design of the plank. This will tolerate kids running around, small dogs on the floors, and normal standing furniture. As suggested by Mannington, protect your floor as much as you can to get its full life out of the LVP. Use felt pads on your furniture, keep bigger dogs off your floors, and keep the roller blades and scooters outside. The next layer is going to be the colors of the floors. These are printed on individual sheets to provide a variety of colors, textures, and designs to look like barn wood, maple, pine wood, oak and many more choices. Their technology provides something for everyone! 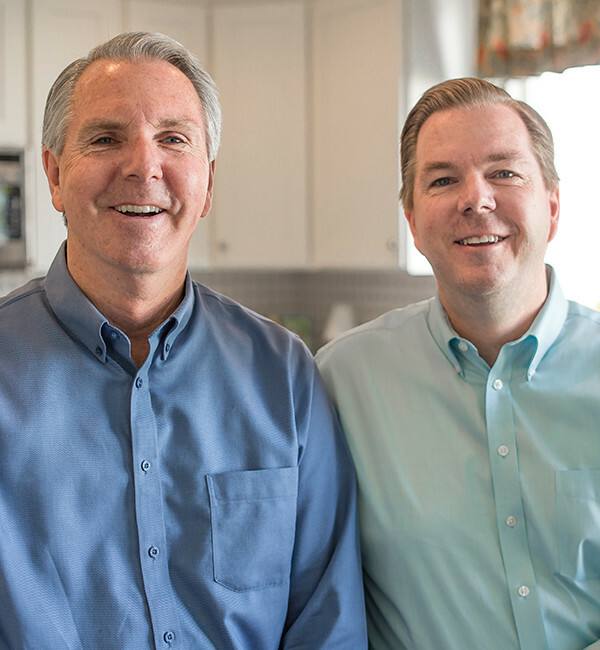 They look so natural and real that most people cannot tell the difference between hardwood floors and LVP. Click here to see all that Mannington has to offer! The next layer that Adura Max has is the HydroLoc Core. This is going to be your water barrier locking system that prevents damage. This HydroLoc will prevent water from seeping between the boards and prevents warping and peeling of the boards and individual layers of the LVP. This is why we love LVP! This HydroLoc core can be soaked in a pool of water for days and come out perfectly shaped and ready to install. This makes it safe for us to install in bathrooms, laundry rooms, kitchens, wherever! No wonder it’s taking over the industry! It’s a tried and tested product that we have felt very safe to install in our homes. The final layer that Mannington adds is a pad underneath to act as a sound barrier and a little extra cushion for the legs and back. Not everyone adds this backing on their LVPs, so Mannington’s Adura Max line is a great way to go if sound proofing is also important to you. Looking at it, it’s a pretty great product. So what’s the difference with a laminate? Laminate flooring is built in a similar way, but there are some significant differences. Below is the anatomy of the laminate floor. Like the AduraMax line, there is an anti-scratch top layer on the top. This will protect it from scratching along with small water doses. Mannington’s Restoration Collection now provides a 72 hour water protection on their laminate floors. If water spills at dinner time or if the kitchen sink can’t keep all the water in while doing dishes, your floor will still be safe. But this is not something that we want to leave sitting there for days. We also wouldn’t want to install this in bathrooms or laundry rooms where a lot more water comes out (or could come out) to damage the floors. If water spills on your floors, then grab a rag and wipe it up soon. Don’t let it sit overnight, pick up those fallen ice cubes, and NEVER STEAM CLEAN YOUR LAMINATE FLOORS! The Decorative Paper of the laminate floors act just as the vinyl designs. 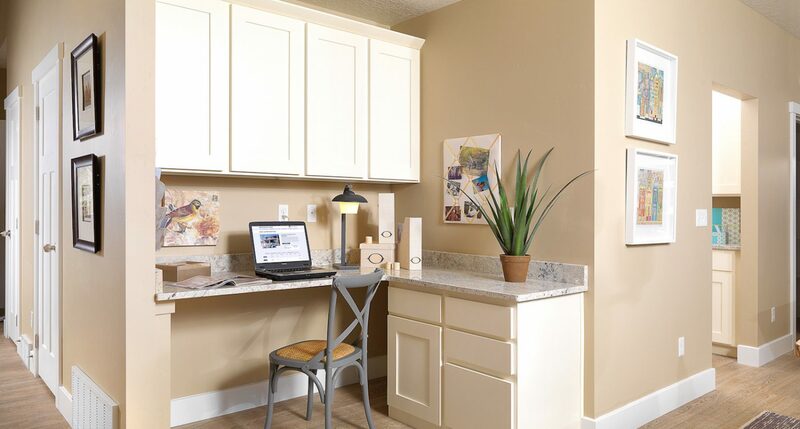 Laminates can provide natural and wood looks or now even grays and other fun color choices for our hardwood surfaces. This decorative paper is adhered to an HDF board, which is beneficial in the sense of preventing warping over time along with expansion and contraction of a natural hardwood. 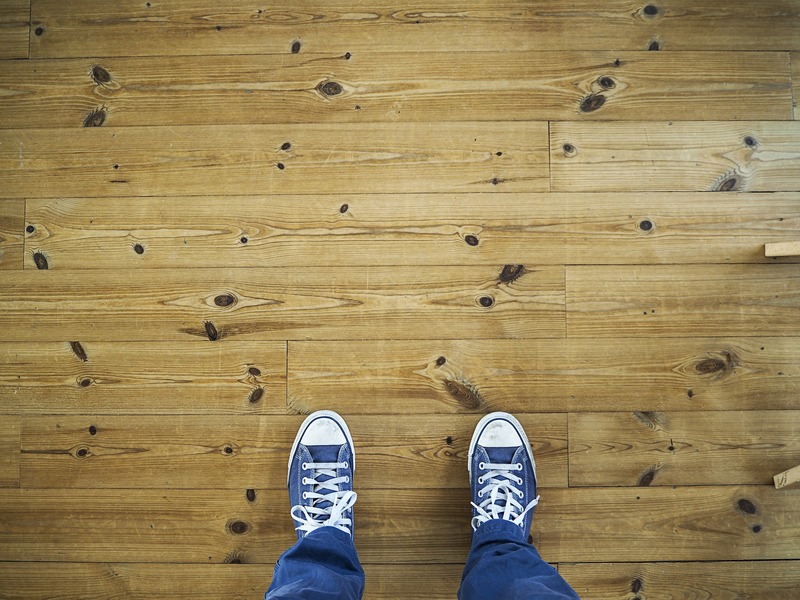 This will help your floors look nicer for longer. The Balance paper is used underneath as a protection between other layers of the floors. It doesn’t act as a pad like the LVP, but it does help the floor stay in place. In my opinion, this is a personal preference. I like the LVP because it can provide a trendy wood look in my bathrooms and laundry room while still looking very real and fresh. I also recommend the LVP to parents with younger kids and animals. The peace of mind that this flooring brings to water damage is worth it! 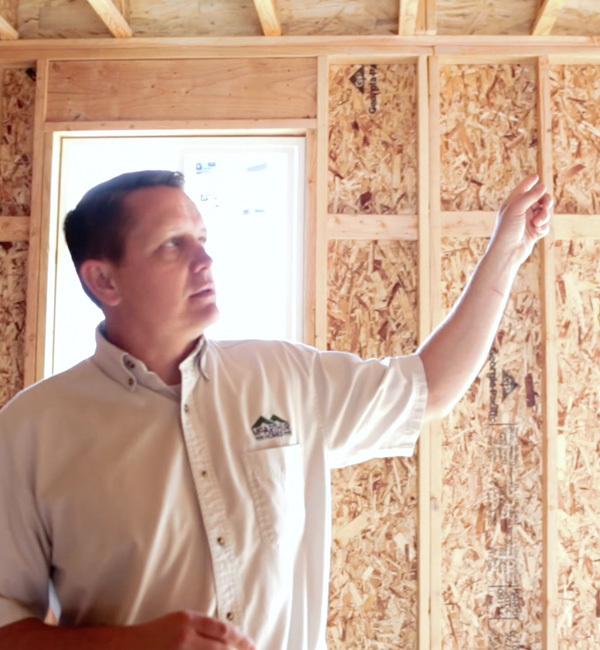 It’s an affordable option while maintaining a low maintenance home life. What could be better?! I still recommend Hardwood Laminate in locations such as the kitchen, because in my opinion, it looks more real. I like that there are grooves between the boards, rather than one smooth surface (but this could also be a negative to some that would prefer a smooth surface floor). It looks and feels more like a hardwood floor, providing a sturdier stronger flooring for my family. I hope that helps! We’d love to hear your thoughts on what you have in your home!